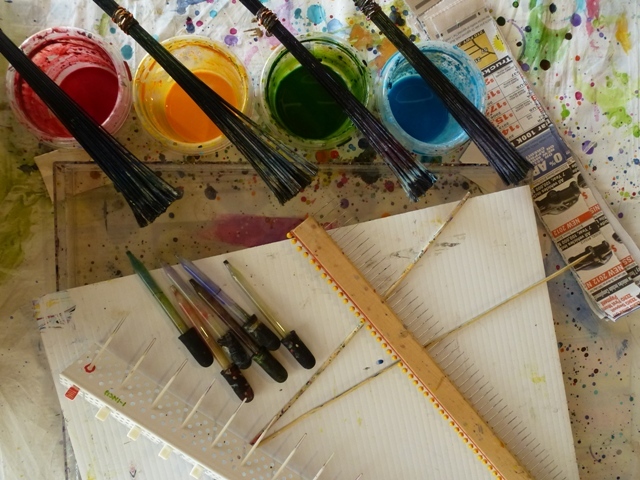 The next Open Studio is right around the corner ~ Saturday, April 19 and Sunday, April 20 from 10 a.m. to 5 p.m.
Open Studio, open to former and current students, is great for those who want to continue to practice marbling but who may not have the space to set up their own studio. Or maybe you want to test out a new tank size. I’ll have the large tanks (20″x25″) available as well as medium tanks (11″x14″) and small tanks (5″x7″). While I don’t teach during this time, I am in the studio to answer any questions. To sign up, email me at Cheers "at" BarbSkoog "dot" com with the date(s), time frame, and tank size you want to work in.